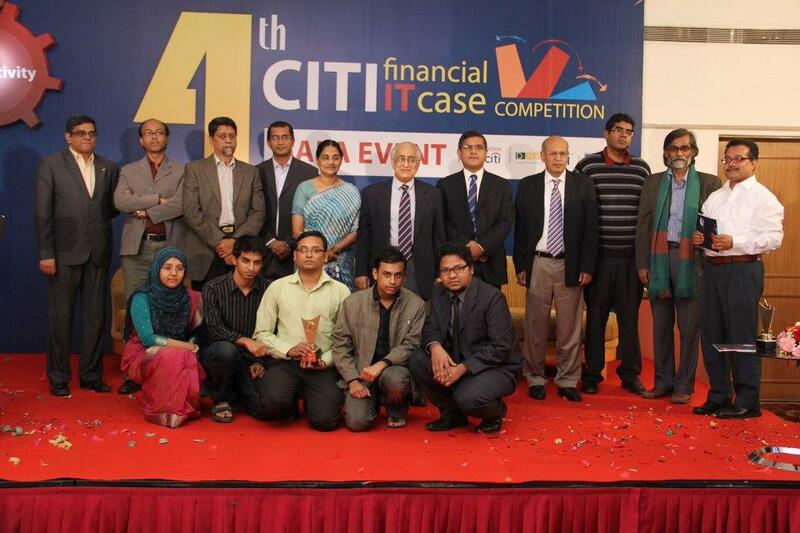 The Gala Round of 4th Citi Financial IT Case Competition (CFICC) was held on December 13, 2012. Again, it was a day of great joy for BUET as the BUETians went on to win most of the awards. Amongst the five finalists, three were from BUET: BUET BRB, BUET BUETic and BUET Inferno and they won 1st Runner Up, 2nd Runner Up and 3rd Runner Up prizes respectively. It is in fact, a great achievement for Department of CSE, BUET as two of the three award winning teams comprised of only CSE students (BRB and Inferno). Moreover, two of the four members of team BUET BUETic were from CSE department. This is actually the continuation of the long standing tradition of triumphs of CSE, BUET teams in CFICC contest. What made the achievement more amazing was that, none of the BUET teams had previous knowledge on neither Information System Design nor Economic Analysis of any financial institution. All the teams were from Level-2, Term-2 and they learned all these by themselves as they crossed various hurdles of the competition. The projects proposed by the teams were- Easy Banking Service via Smart App (BUET BRB), Voice Verification to upgrade securities in Financial Institutions (BUET BUETic) and Mobile Based Easy Information Access (BUET Inferno).